dance.net - Kilt and Waistcoat (10247594) - Read article: Ballet, Jazz, Modern, Hip Hop, Tap, Irish, Disco, Twirling, Cheer: Photos, Chat, Games, Jobs, Events! 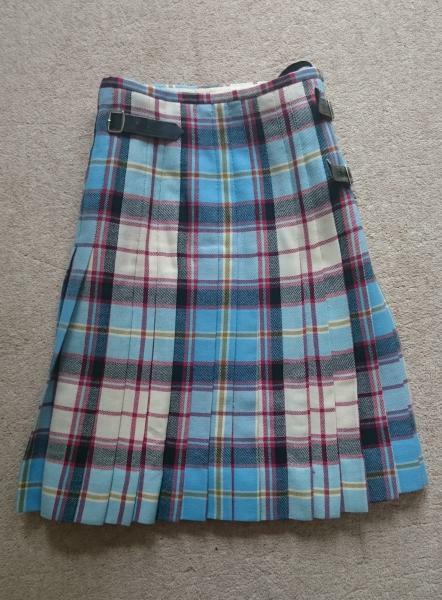 Nape - Peak: 15 1/2"
Kilt is a lighter weight wool kilt, perfect for younger dancers and is approx 4 1/2 yards. The pleats are approx 3" deep. 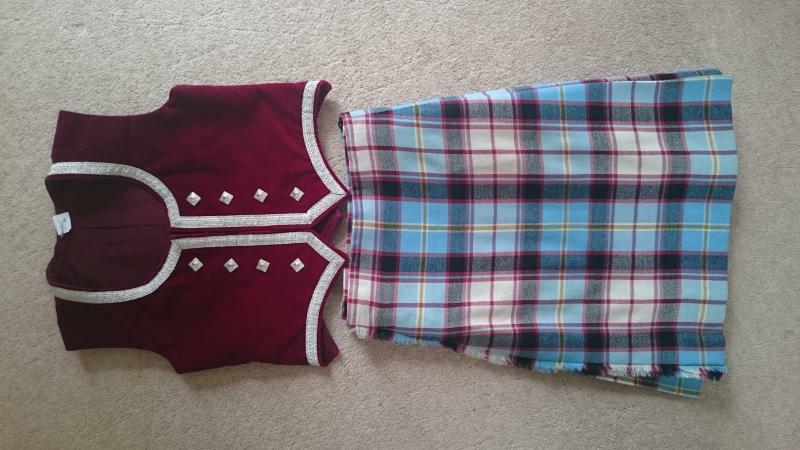 No socks but both the kilt and waistcoat have been dry cleaned ready for sale. All measurements have been taken flat.